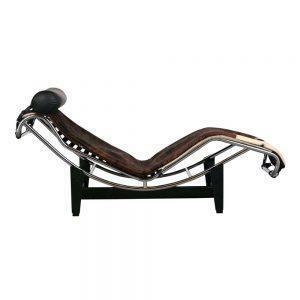 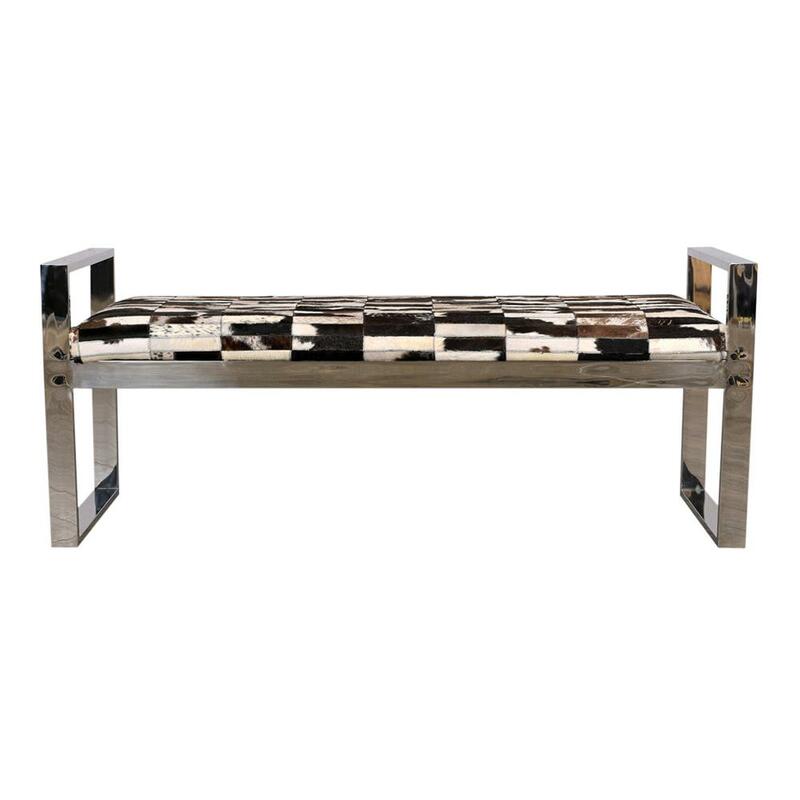 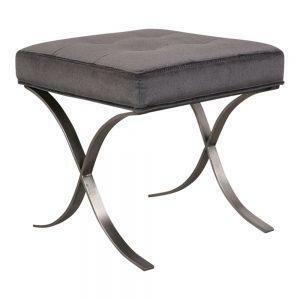 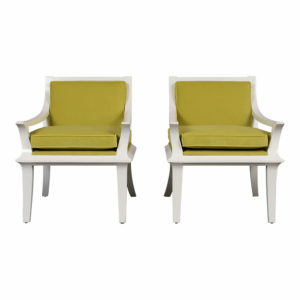 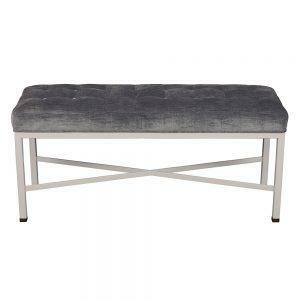 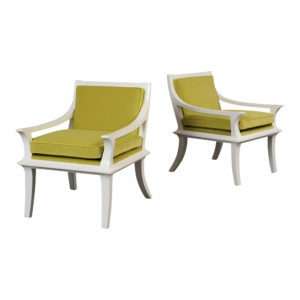 Modern Aspen bench with a square, polished chrome frame. 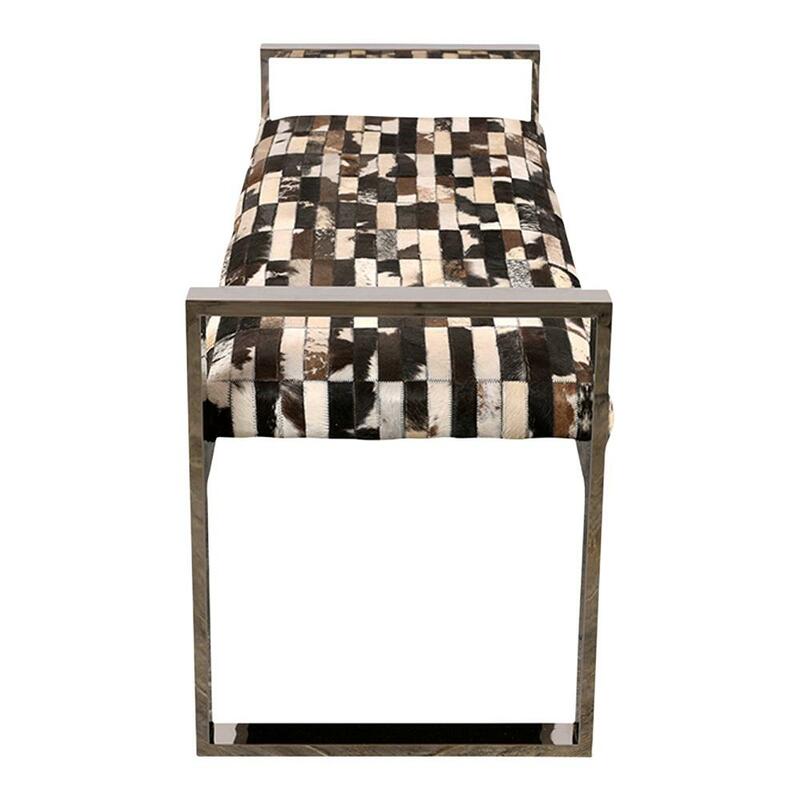 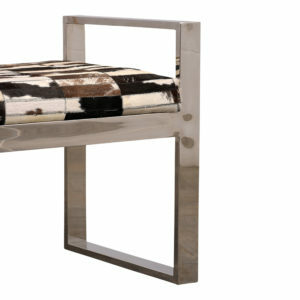 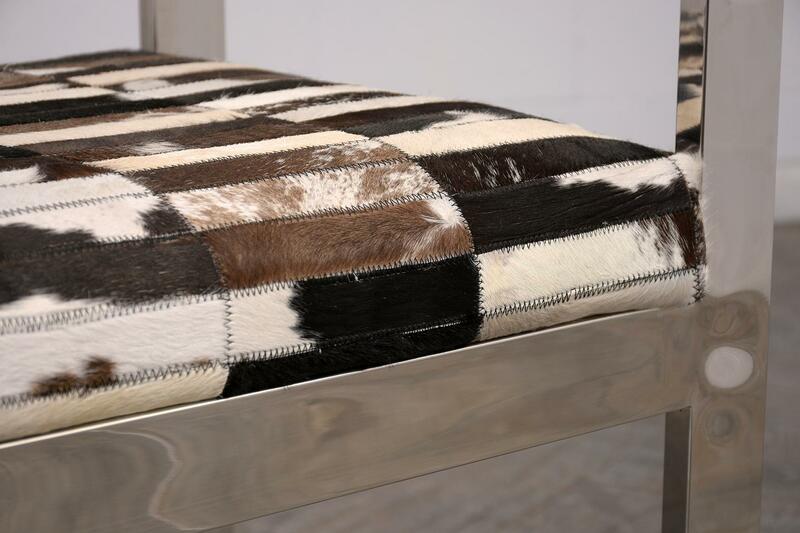 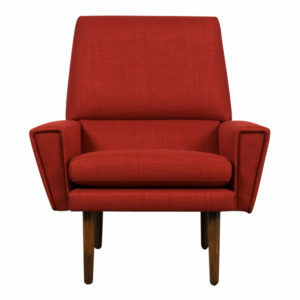 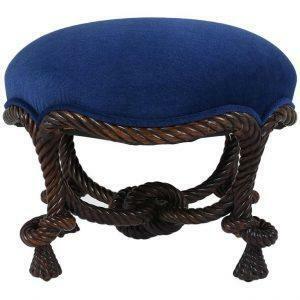 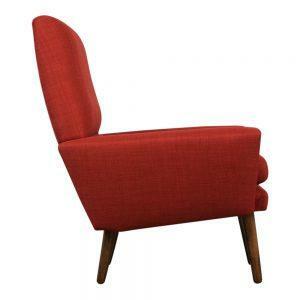 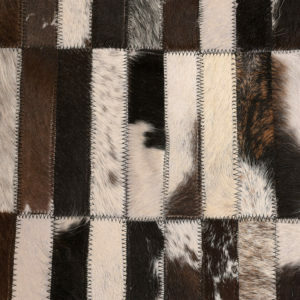 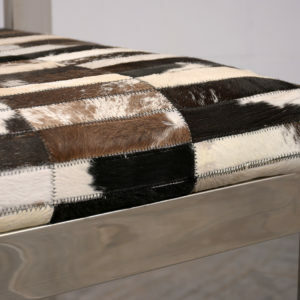 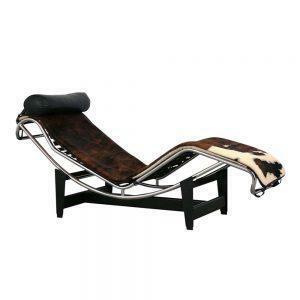 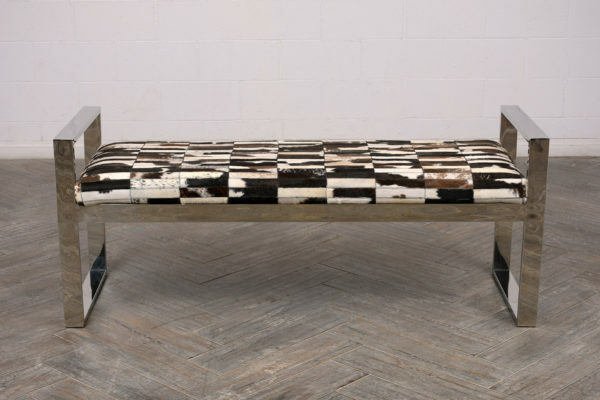 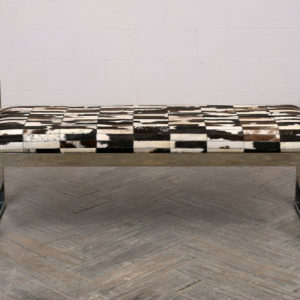 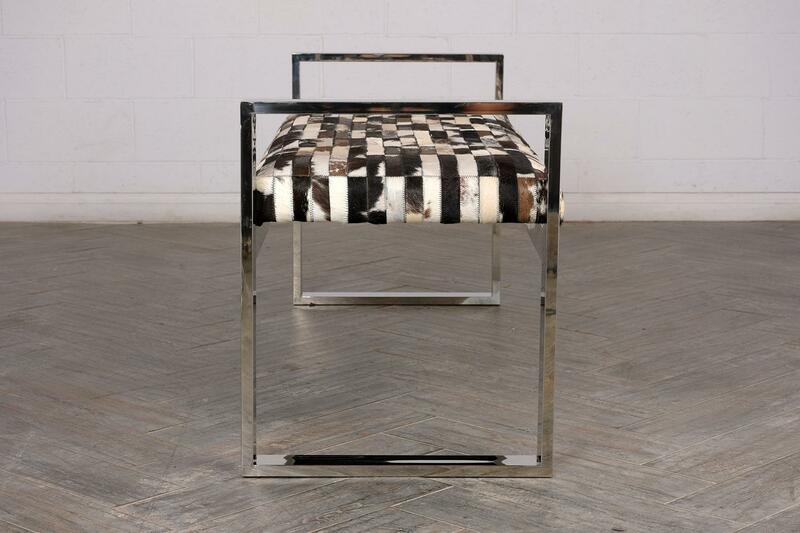 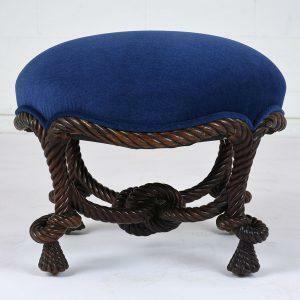 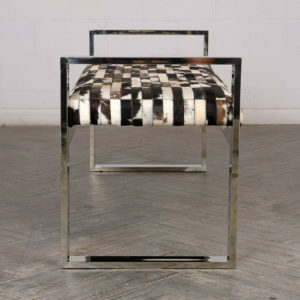 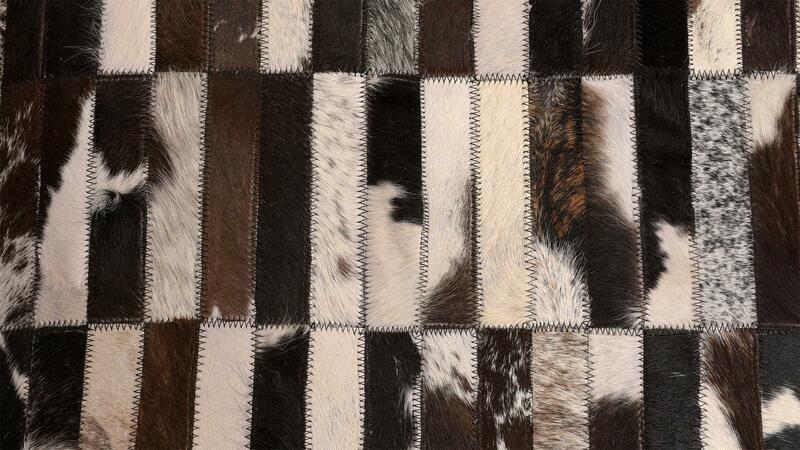 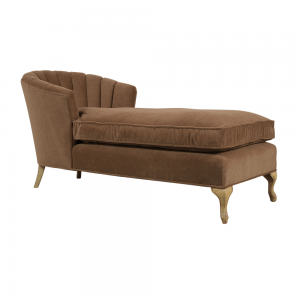 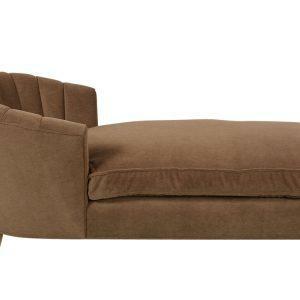 The seat features a mix of cowhide patterns all topstitched together. 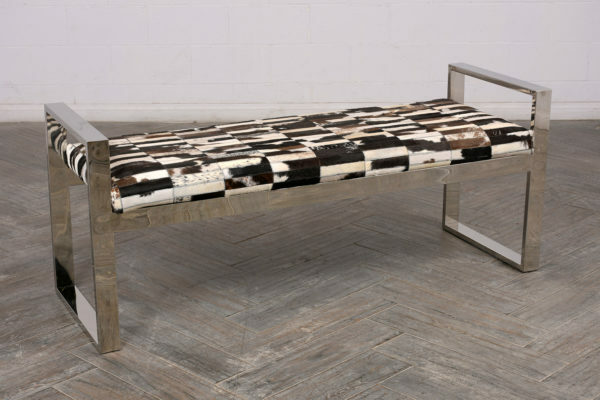 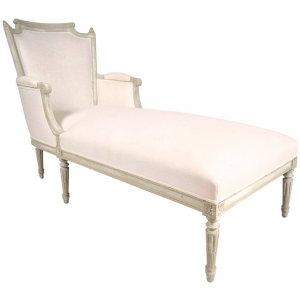 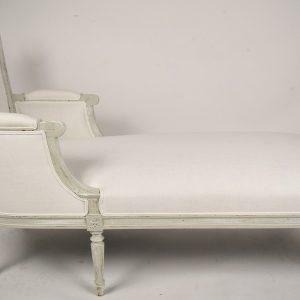 The bench is in good condition ready for any home or office for years to come.